Liseth Reyna, an instructor at Civic Nebraska's Lewis & Clark Middle School Community Learning Center, on coming out of her shell, the unique challenges middle schoolers overcome, and why she returned to her roots at Lewis & Clark. 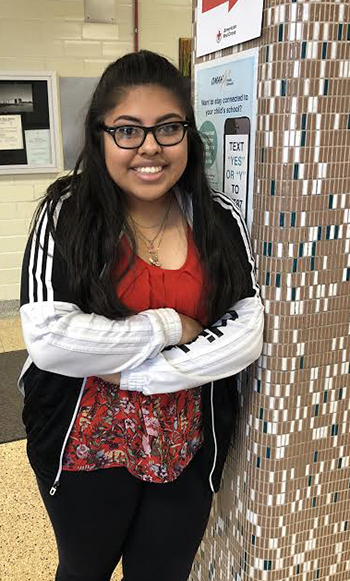 Liseth Reyna is in her first year as an after-school instructor at Civic Nebraska’s Community Learning Center at Omaha’s Lewis & Clark Middle School. In addition to working with the program’s English Language Learners, Liseth coordinates engineering lessons for her Trailblazers students, and is an energetic member of the Civic Nebraska team. We caught up with Liseth on a recent weekday at the school, where she told us about her work. I’m busy. 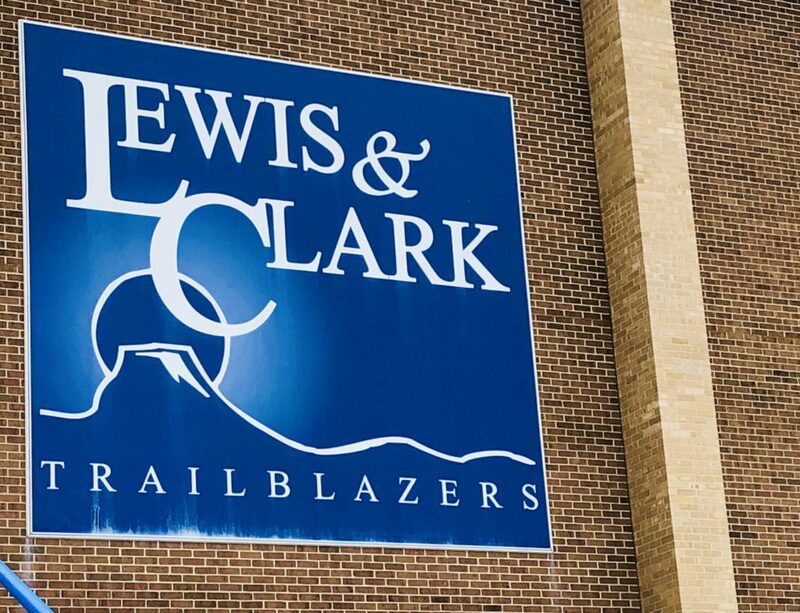 I’m a full-time student at Metro Community College, and I come to Lewis & Clark right after my classes. I see my role as helping as much as I can, and taking others’ stress off. I have my focus here at Lewis & Clark, but I like to jump in on other projects, even if it’s not in my job description. Working at Lewis & Clark has been interesting because I’m a former student here. I’ve known Ms. White (Tracy White, Civic Nebraska’s Lewis & Clark site manager) since I started school here, which to me was a long time ago. It changed me in so many positive ways. I was so quiet and withdrawn at that age, and I kept to myself. Ms. White and the after-school staff helped me come out of my bubble. I saw myself grow so much. I call Ms. White ‘Mama White.’ She’s like a mother to me. The growth I experienced here was my main motivation to come back. I was doing a school assignment last year about what in my life has inspired me and had the biggest impact in my life. I realized it was this program and this place. Now I have an opportunity every day to work with middle schoolers, and see them go down a path similar to the one I walked. It’s gratifying and satisfying to see them transform from being shy, just like I was, and grow out of their own bubbles. Seeing them enjoying themselves gives me so much joy, too. I focus a lot on tutoring the students, helping them fulfill their homework requirements. Math, English, science – whatever is in front of them. My seventh graders, I’m their after-school tutor. Sometimes some kids want to take a step down and delay getting it done, but my job is to keep them focused. They’ve been great. Their improvement on missing assignments, and their homework getting completed – and the learning that happens in that process – is probably the most exciting thing to me. I tell our students: I’m here to help, so don’t be scared to ask. I’ll sit down with you one-on-one. I’ll go over your schoolwork with you again and you don’t have to feel bad about it. That’s what I’m here for. My challenge is to push these young people. I work to give them a feeling that just because something is hard doesn’t mean you can’t do it. I hope they get from me that if you try, and then you try, and then you try again, eventually, you can and will succeed. You can get there. I hope I can be an inspiration and a positive role model. When I tell today’s kids I’m a former student here, and I know how what they’re going through feels like, and that I know the changes they’ll go through, we find an understanding and friendship. I tell kids, ‘When the day you graduate from middle school comes, you’re going to be a whole different person than when you started.’ And they find confidence in that. I would want my students to remember me as being a caring, protective person. One who is willing to sit and listen to whatever they might be going through, or to just sit down and tell me how their day went. I love this place. I really enjoy being back here. And I’m happy to know I’m making a difference.